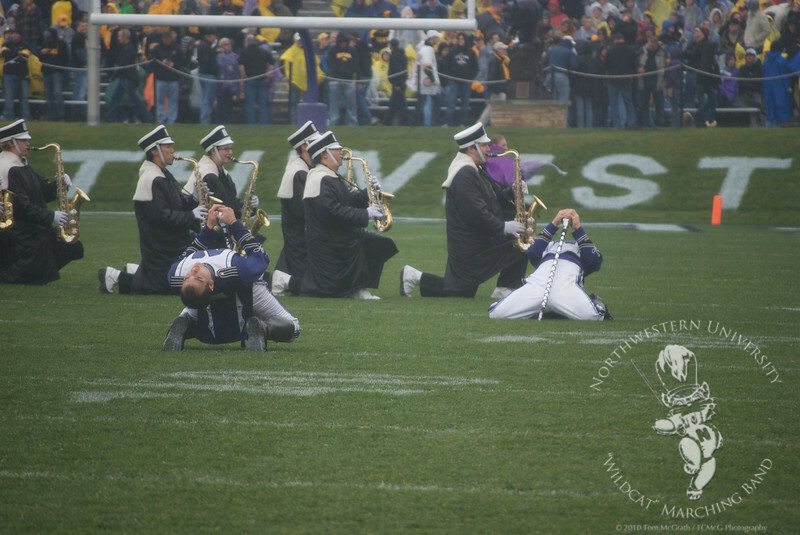 Iowa's band was kind enough to join NUMB. 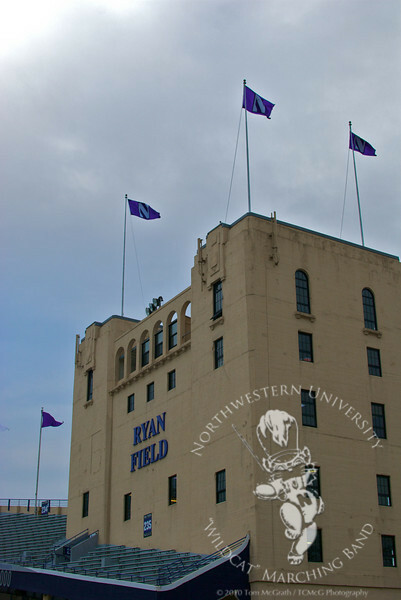 the Old Plus-Four was unveiled. 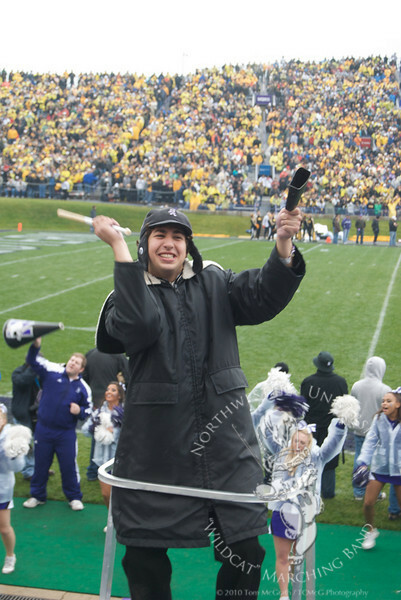 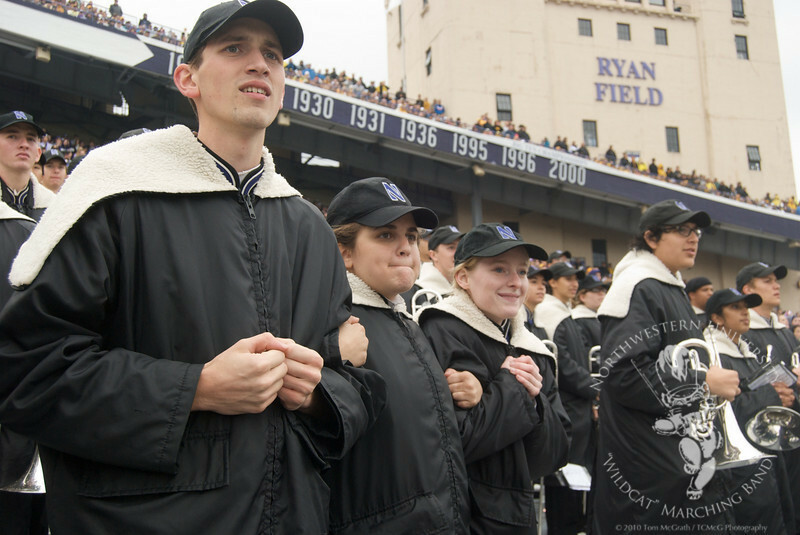 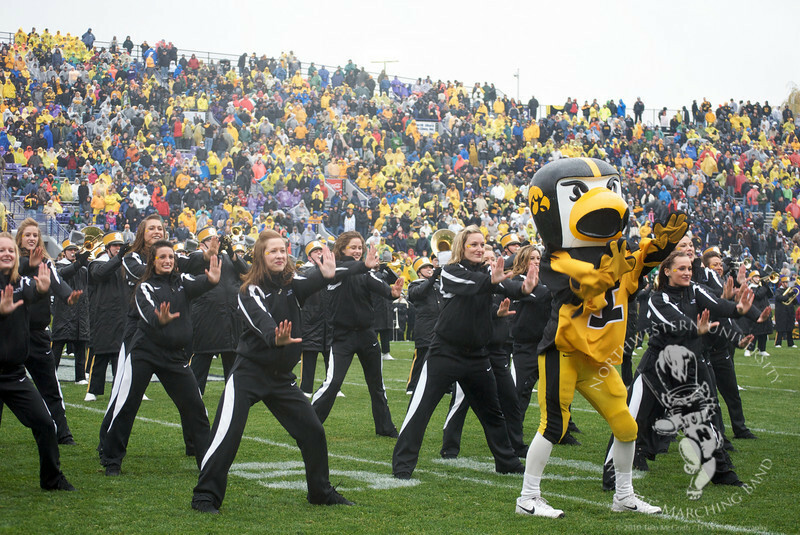 NUMB has closed every home football season with this drill, set to "March of the Steelmen." 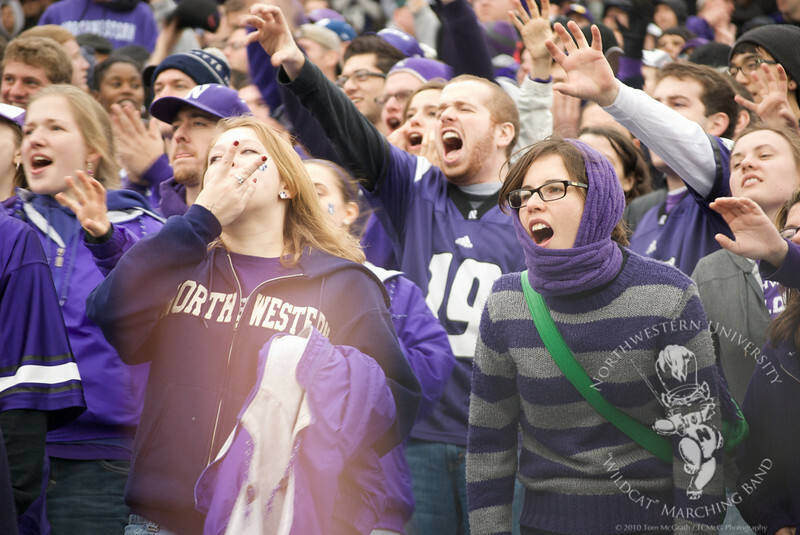 Northwestern scores, late in the second half to take a 21-17 lead. 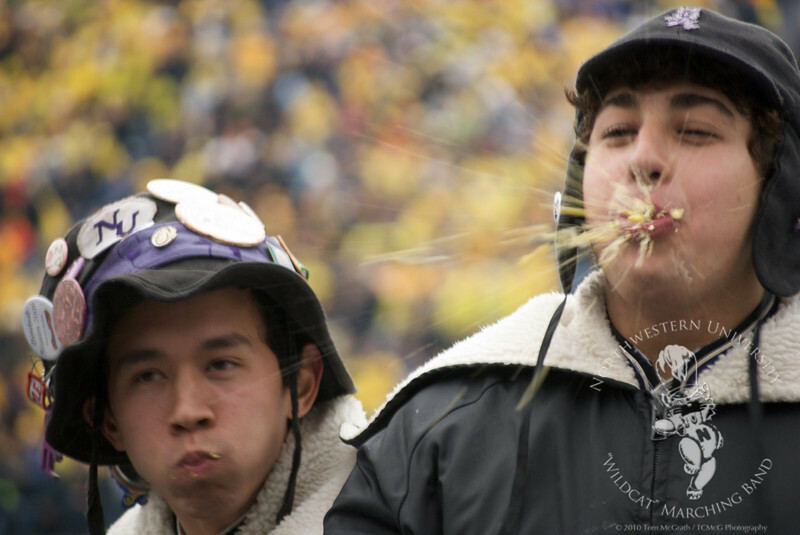 There's time left on the clock, and Northwestern needs a stop. 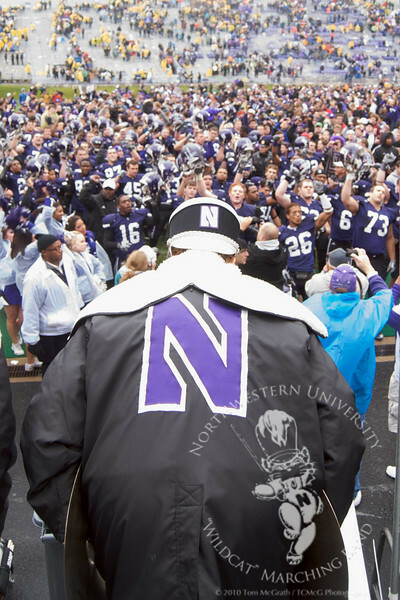 Playing Go U Northwestern for the team. 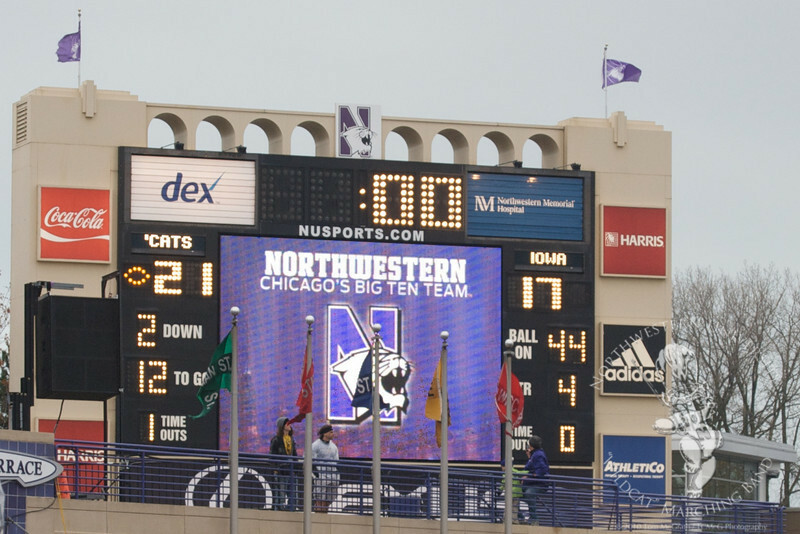 Your final score in Evanston. 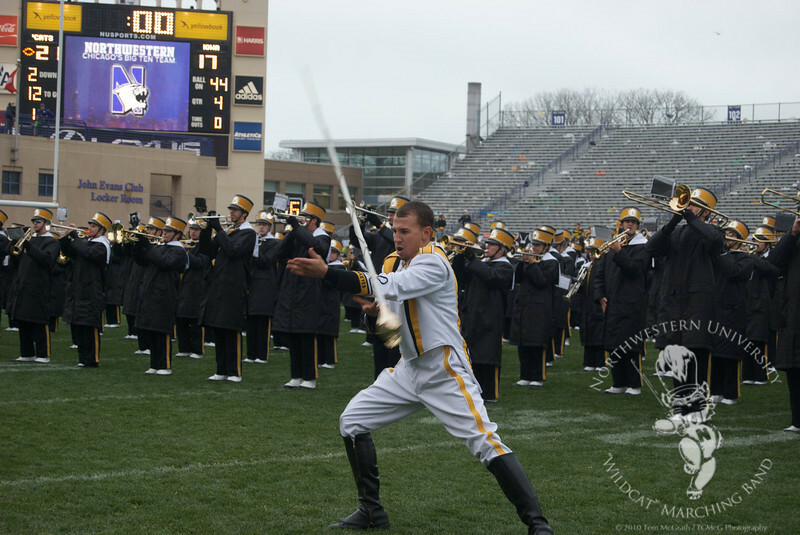 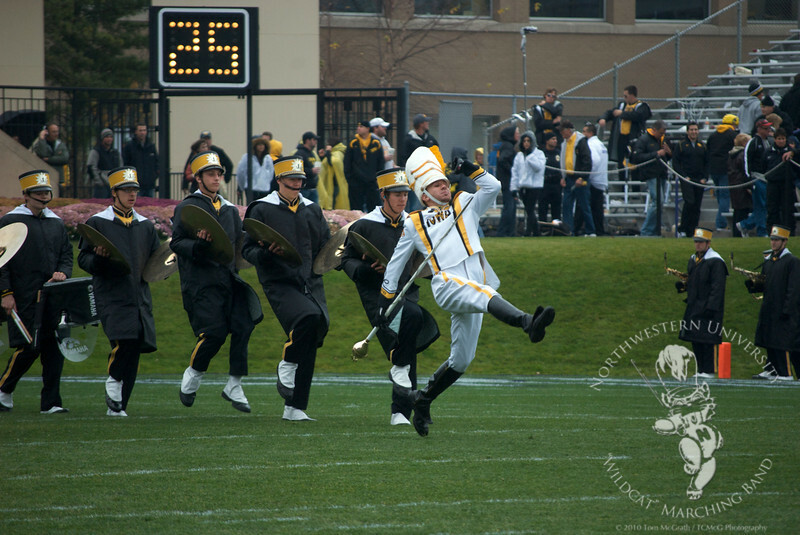 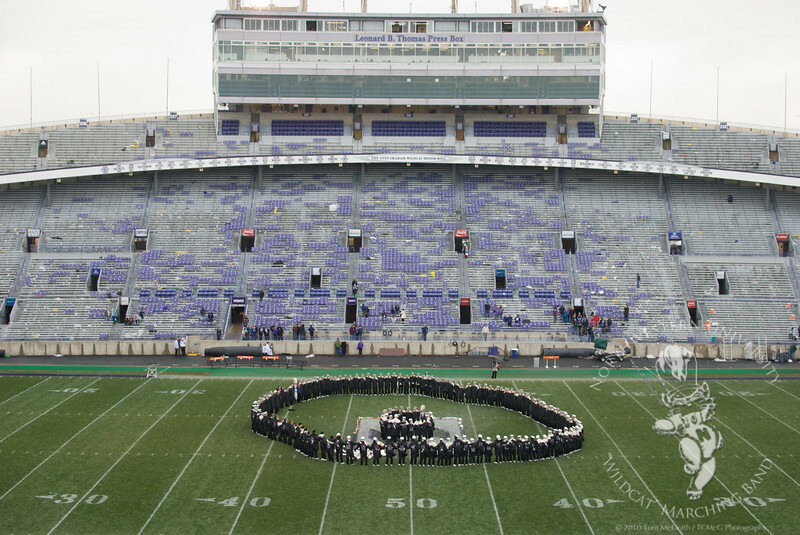 The Hawkeye Marching Band, postgame. 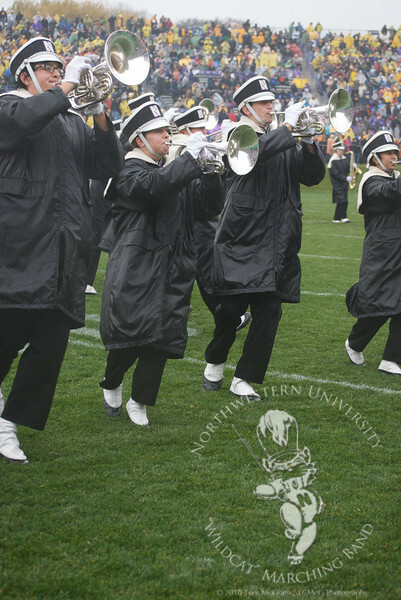 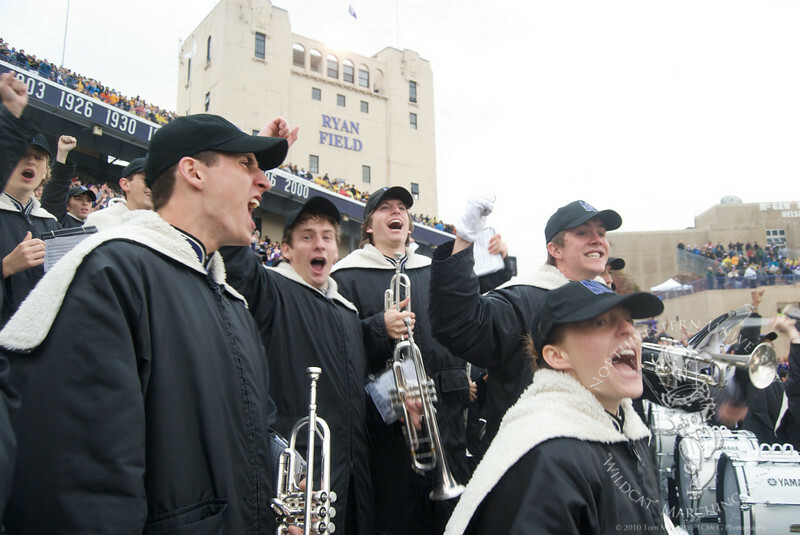 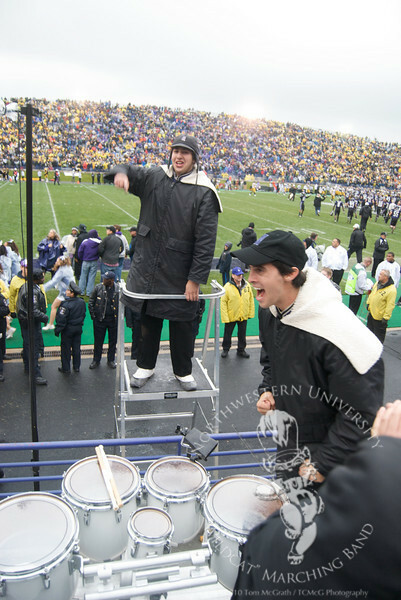 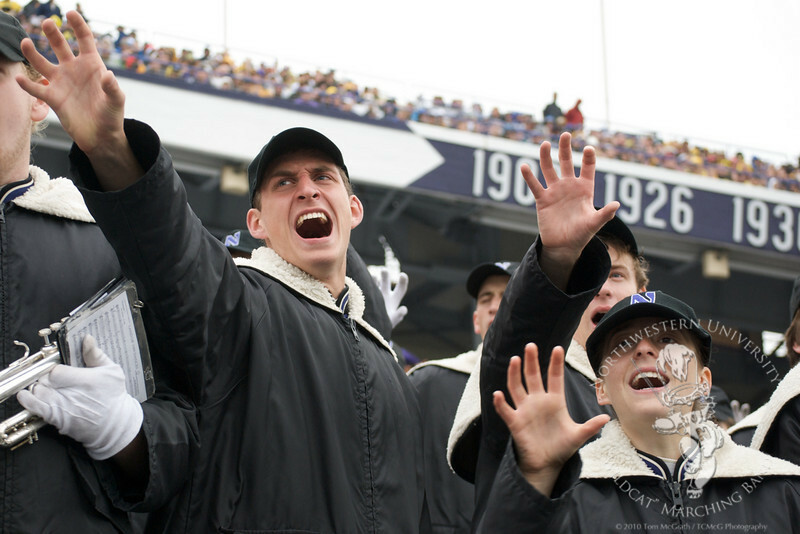 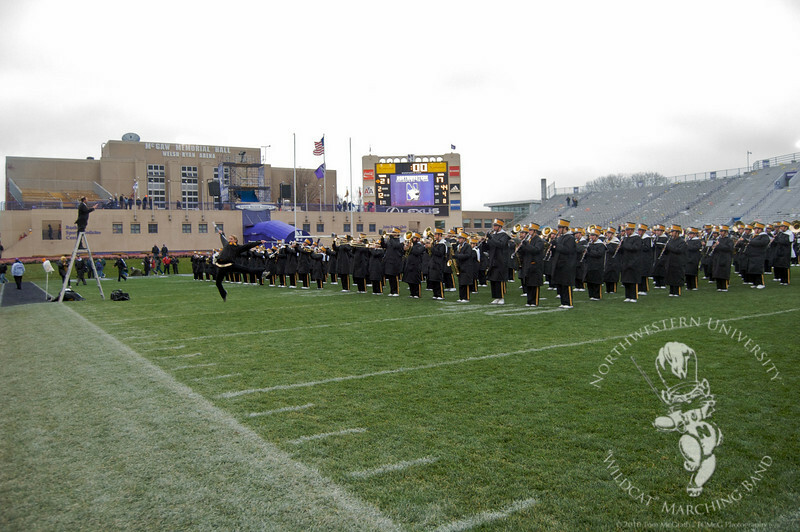 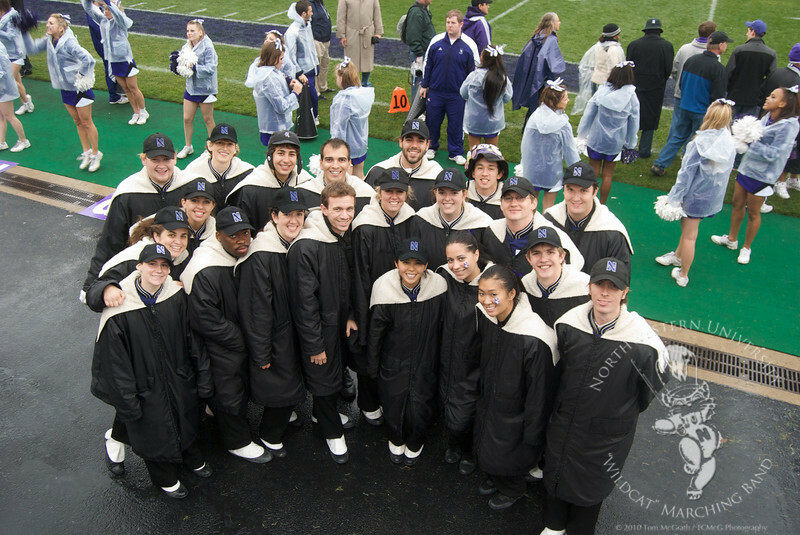 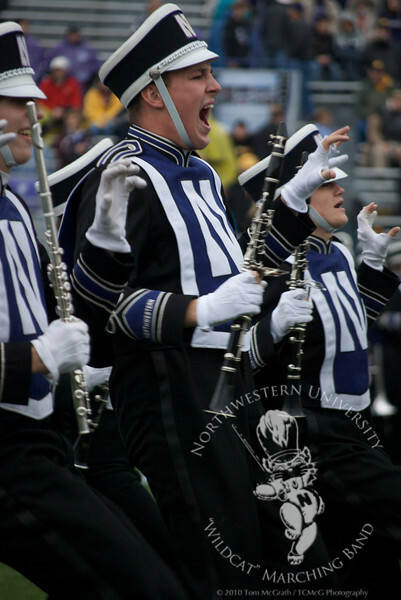 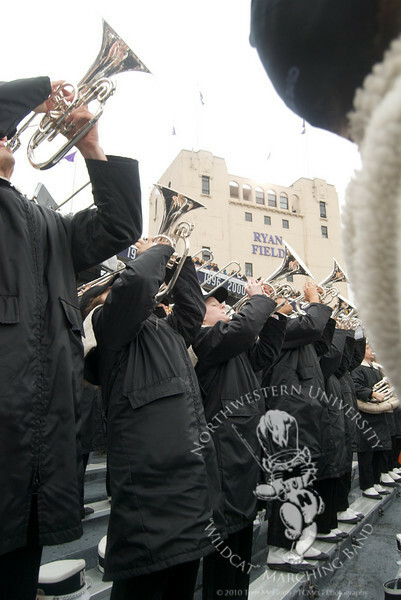 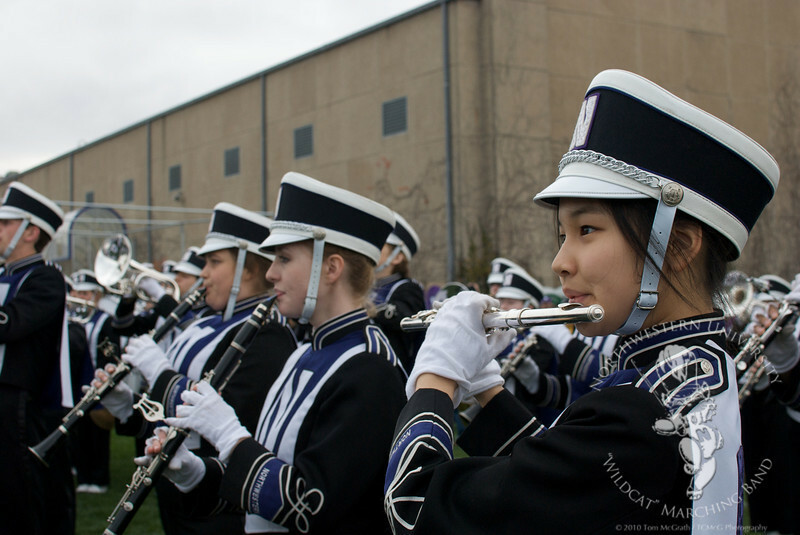 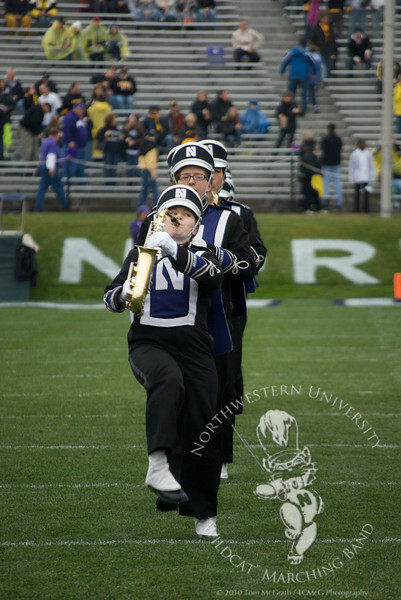 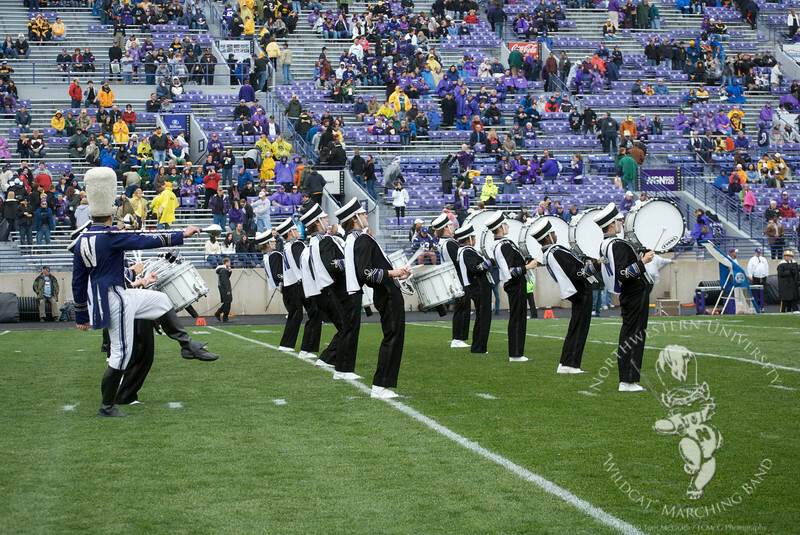 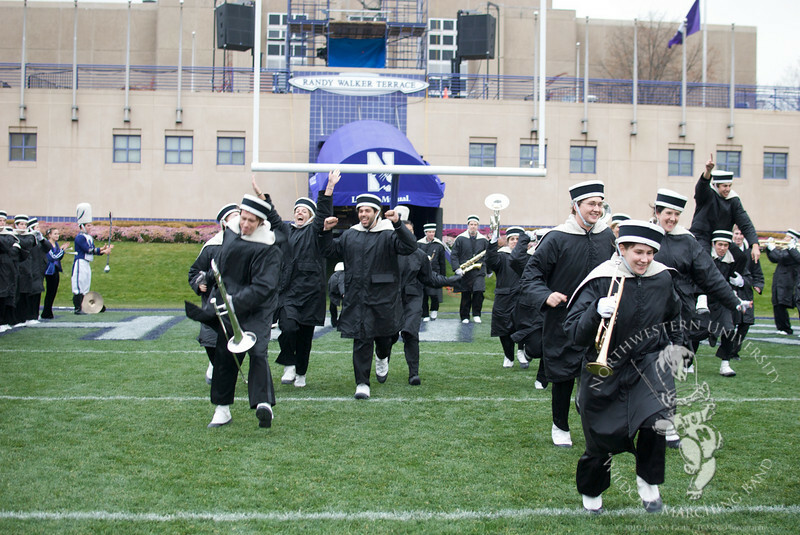 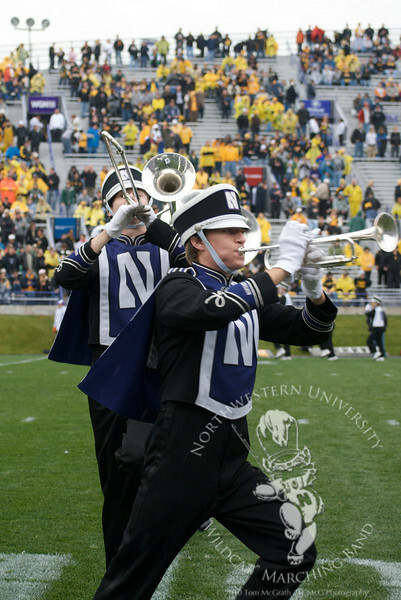 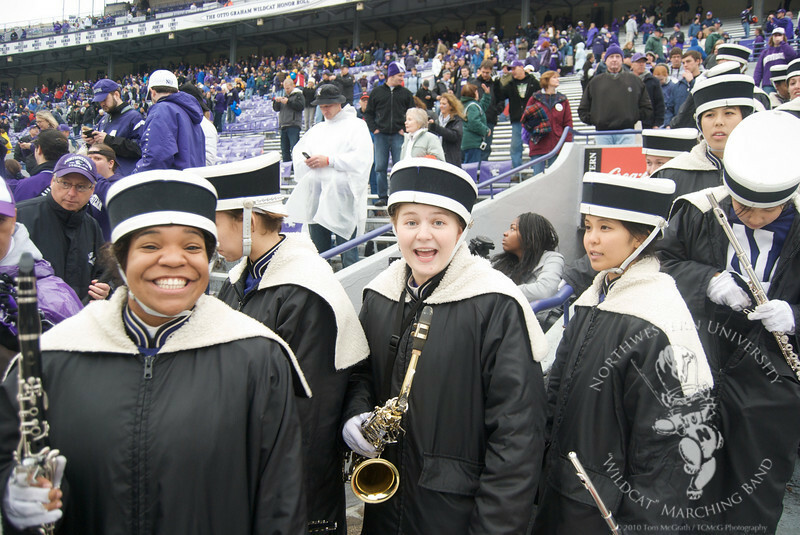 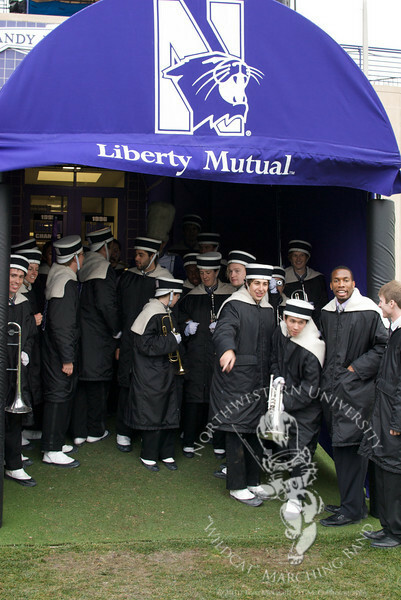 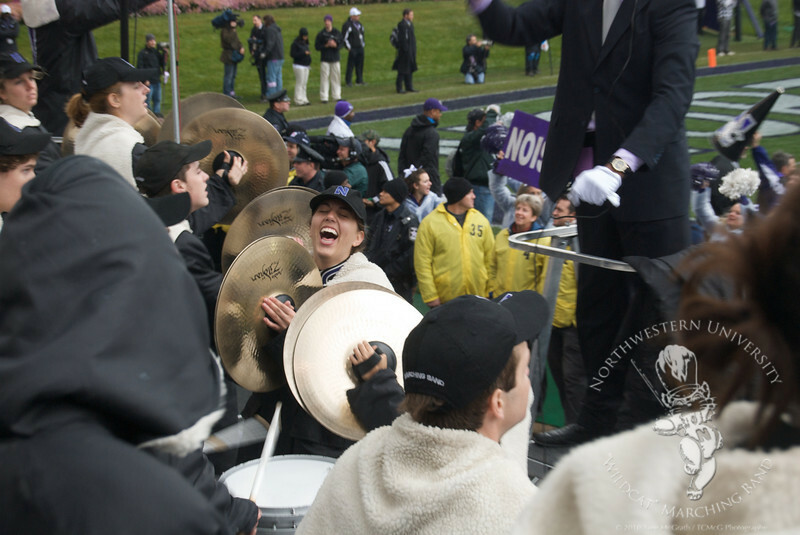 Your Northwestern University "Wildcat" Marching Band Seniors. 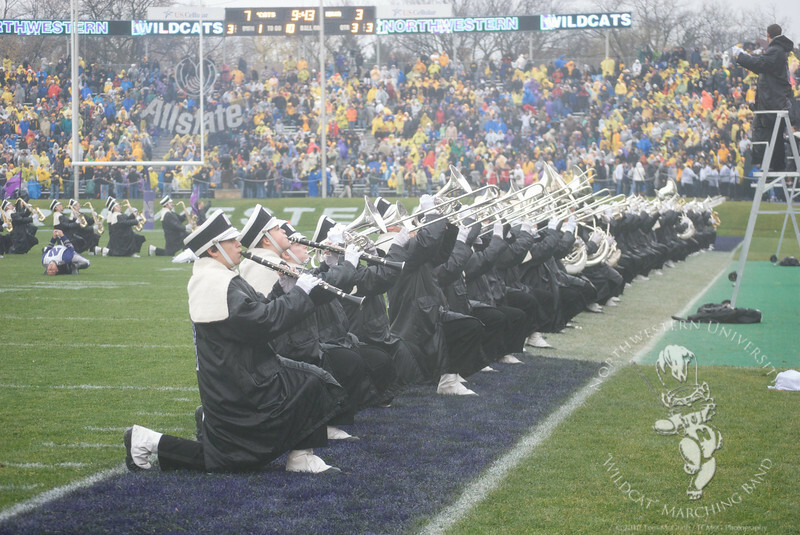 Shakos backwards - Cats Win!